Miss Gemini, you will be very often attracted to men who have the Ascendant or the Sun in Sagittarius. You tremendously enjoy their taste for travelling, their mobility, and their vitality. They are not as sparkling as you, but they are warmer and they are driven by an imperative need for change and for faraway matters. They will slake the thirst for contacts and renewal that is part of your nature. You will get along very well with Libra and Aquarius men. Libras are very charming, refined. They socialize a lot and you tremendously enjoy sharing their taste for parties and outings. Aquarians are very intellectual and witty. You equally appreciate their uniqueness and their ability to amaze you, thus keeping boredom at bay. Leo and Aries men will also arouse your interest. You enjoy the enthusiasm of Leos, their capacity to take action, as well as their innate powers of seduction. You equally appreciate the swiftness, the spontaneity and the dynamism of Aquarians who will take you from adventure to adventure without giving you the time to get bored! There is a danger that conflicts will crop up with Virgo and Pisces men. Virgos are too calculating and tidy. Their seriousness will ultimately wear you down. Pisceans are very sentimental and passive. They will very rapidly give you the strange feeling that you are not on the same wavelength. To tell the truth, you must know that adjacent signs have nothing in common. 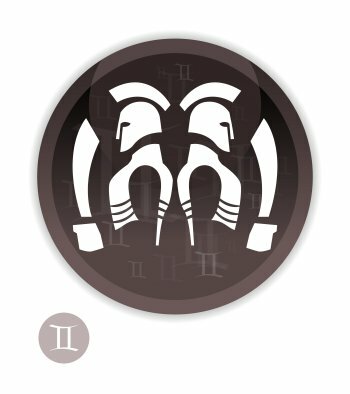 Thus, the relationship you may experience with Cancer and Taurus men will be… a bit neutral, neither good nor bad, certainly nothing nasty. Cancerians are so emotive, soft and deep that to you they seem to be from a different planet. Taurus are too placid for you, too slow and too far from your sense of humour. Scorpio and Capricorn men stir up in you blended feelings of warm curiosity and natural distrust. 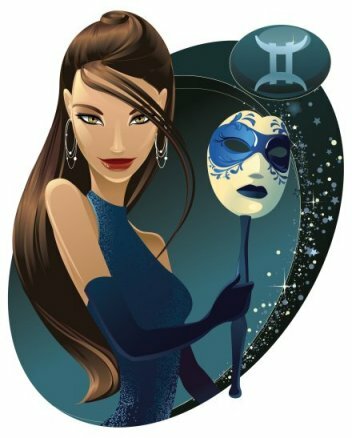 Scorpios are so secretive, mysterious and introverted at the outset, and Capricorns are so stern, deep, and thoughtful, that the outcomes of the challenge seem quite uncertain! Here are a few famous people with the Sun or the Ascendant in Gemini: thousands of celebrities with the Sun in Gemini, thousands of celebrities with the Ascendant in Gemini!